A very popular and tasty Indian sweet is the ladoo. It comes in different varieties based on the ingredients used. The Boondi ladoo is a very popular version of ladoo and made during festivals and poojas. Hope you enjoy the recipe and try it out.Do like and subscribe to my channel without fail! Today being Krishna Jayanthi, a popular Hindu festival in India, I am sharing a very simple easy to make recipe using Poha ( also called as Aval or flattened rice). I drew inspiration from Raks kitchen for this recipe. I love to add a hint of coconut in desserts which is made using jaggery. 7. Optional: few saffron threads soaked in little coconut milk. 1. In a pan, take 1 tsp ghee and fry the cashews and sultanas a little and set it aside. 2. In the same pan, add 1 more tsp of ghee and add the Poha. Stir for a couple of minutes. 3. To this add boiling milk and cook on medium for 5 minutes. 4. Add cardamom powder, saffron soaked coconut milk, jaggery and the fried nuts and sultanas. 5. Stir well and immediately remove from heat to avoid curdling of milk due to the addition of jaggery. 6. Yummy poha or Aval Payasam is ready. For the recipe making, please watch the video below as well. Also I am launching my new intro in this video. Hope you like it. Rasamalai is one of my most favourite Indian milk sweet. It is a very popular Bengali sweet and I have always bought it from the Indian sweet shop and not tried it at home at all. And then I landed on this simple to make at home recipe and trust me it will beat the store bought taste and texture. This sweet is made using milk powder instead of the paneer and it saves so much time in the entire preparation. This will be so easy and will surprise on how perfectly it will turn out even if it’s your first time. Hope you enjoy the recipe too. 1. Boil the milk with cardamom, saffron threads and sugar by stirring well. Simmer for 10 mins. 2. To make the dumplings: Start by taking the milk powder, baking powder and plain flour and sift together. 3. Add ghee and rub into the milk powder mixture. 4. Add a beaten egg into the above mixture. Combine all and knead it into a dough. Initially it will be sticky but once you keep kneading for around 5- 10 mins , the ghee will ooze out a little and the dough will be perfect to make small balls. 5. Once kneaded, make small balls using your hands and flatten it a bit in your palm. It will double in size once you drop it and cook in the boiling milk. 6. Once all the balls are rolled, bring the milk mixture to a boil and drop all the balls together in one shot. 7. Cook on high for 5 mins and then simmer and cook for a further 15 mins covered. 8. You will notice the dumplings would have puffed up nicely. The milk would have condensed to a thick consistency as well. 9. Switch off and transfer contents to a bowl slowly. Garnish with chopped almonds or pistachios. 10. Bring to room temperature and refrigerate to chill. 11. Yummy rasamalai is to be served chilled. Enjoy the melting in the mouth tasty sweet which will be hard to stop with just one. Prick the dumplings a little before dropping into the milk. Drop all the balls at the same time for even cooking. Also you can watch the video recipe on making this tasty Rasamalai below: please also subscribe to my YouTube channel if you like it. Who would not love a cupcake. And if it looks like an ice cream even more tempting. This caught my eye as well and dived into it almost immediately. It is certainly not deep diving, as I have cheated a bit by buying store bought cupcakes mixture, icing and decorations along with the ice cream cones. I chose to bake this cupcake with my son during the long weekend and it was an instant hit. It turned out to be so much fun making it with him and glad I could keep him off electronics for a while as well. It is a great party food idea which kids and adults alike will love. 1. Cupcake mix- 1 ( please also get the pack ingredients mentioned to make the batter). 3. Any topping decorations of choice. I bought pearl beads. 1. Make the cupcake batter following the pack instructions. 2. Take the Icecream cone and fill with batter to 3/4th of the cone or just at the lower rim of the cone. Repeat for remaining cones. 3. Place the cones in 1- 2 batches in a baking tray. 4. Bake in a preheated oven at 180C for around 18 mins. Check if it has cooked through by using a skewer. 5. The batter may overflow a bit over the cone. Remove the bits from the side of the cone if needed. 6. Allow the cupcake to cool down in the cone. 7. Put icing of your choice in a swirly manner like an Icecream. You can even try whipped cream. 8. Decorate the top with sprinkles. 9. Enjoy the delicious and beautiful Icecream cupcake. For the video recipe, please click below. I have done this video with my son and lot of funny moments in it. Don’t miss to watch it. 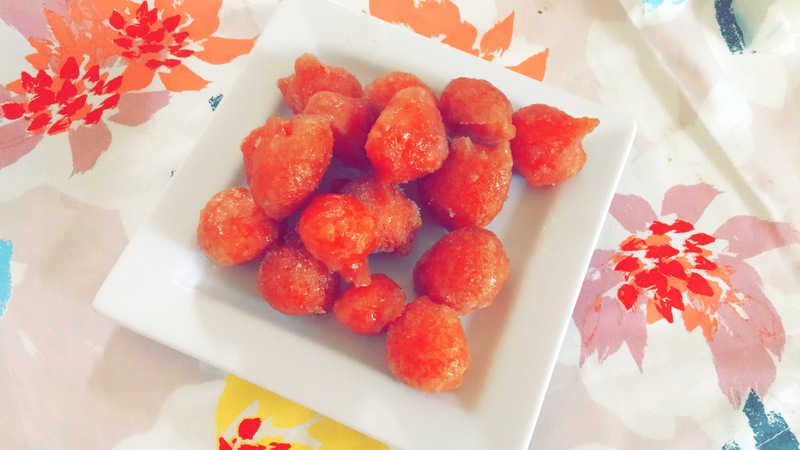 Thaen Mittai-Sweet Candy is one of those endangered dishes which was once very popularly sold in tea stalls (potti kadai) in states like Tamil Nadu and Kerala in India. It will bring fond memories of one’s childhood to many. Recreate this delicious candy at your very own home with this recipe! 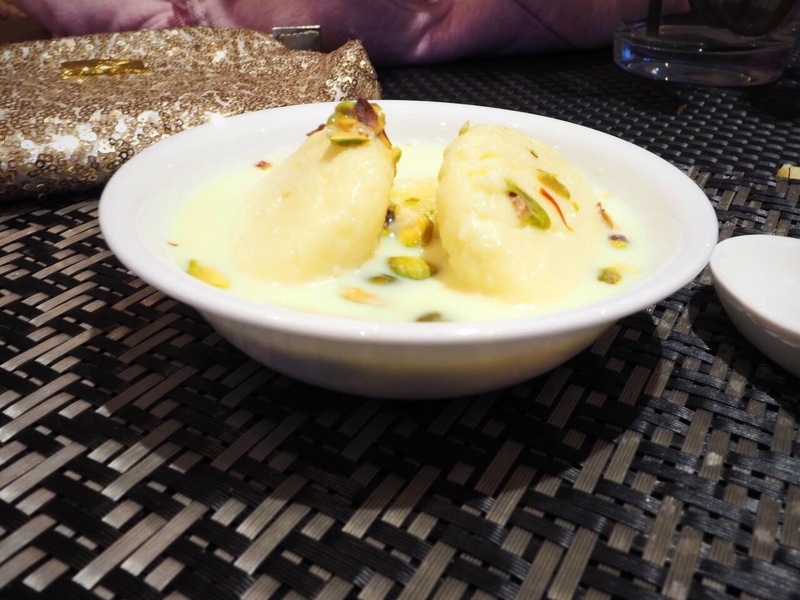 Kulfi is a very popular Indian frozen dessert made out of milk, cream and nuts. It is similar to an ice cream but the texture of the kulfi is much denser compared to a smooth ice cream. The taste is absolutely delicious. This dessert is so popular that they are sold in ice cream carts or cycles in several Indian streets. They are traditionally served in matka (small earthern pots) or in the well known sticks. In this recipe I made them in small plastic containers. Please feel free to even choose ice cube trays or ice cream moulds. This is a simple recipe and a great heart stealer in your dessert menu. Enjoy!